Man Behind Lens: Canon 5D MkIII Light Leak Issue! Canon 5D MkIII Light Leak Issue! Come on! And April 1 was 14 days ago! To Users of the Canon EOS 5D Mark III Digital SLR Camera- Thank you for using Canon products. The phenomenon described below has been confirmed when using the Canon EOS 5D Mark III Digital SLR Camera. Canon is now examining the countermeasures and once the countermeasures are decided, we will post the information on our Web site. In extremely dark environments, if the LCD panel illuminates, the displayed exposure value may change as a result of the AE sensor’s detection of light from the LCD panel. Once the preparations are complete, we will be making an announcement on our Web site. Please register the EOS 5D Mark III. By registering, we will be able to notify you via email when service updates are available. If you already registered, please ensure you are opted-in to receive the notification. CameraTown conducted a very detail and informative test, all 5D MkIII owner should read! I will follow future development of this issue... I still cannot believe Canon could have made a boo boo like this! To my mind, if the LEAK is physical in nature; will ALL the sold 5D MkIII are to be recalled? UGLY!! "You will not be able to use top LCD back-light in dim light or at night to check your exposure metering unless Canon fixes it!" "This is absolutely frustrating. How can Canon release a $3,500 camera body without carefully testing this? Just by turning LCD backlight on, or under bright light you get a wrong exposure metering?" "NO camera that shifts exposure when turning LCD backlight on in dim light (with lens cap OFF) can be called as "in normal behavior" or "non-issue!" 5D Mk III Light Leak, the Plot Thickens! 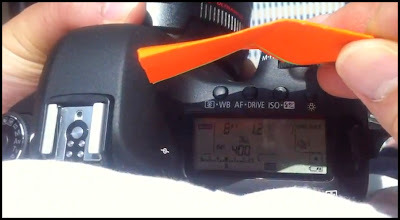 Canon Explained 5D Mk III Light Leak Fiasco!